In our previous posts, we have mainly focused on technical issues, but to do this topic justice, we need to address the social and ethical issues as well. When should these cameras be deployed or how invasive should they be permitted to be? Can an individual request the officer to turn off his camera in his own home or should the officer be allowed to overrule that choice if he feels it could provide a benefit in safety for one or both parties? Would that individual be given access to that video? And if so, how will that data sharing take place and how much would it cost? Will the police use of this technology set a social precedent and will we see this technology spread as a result? How will access to all this data change the way we feel about privacy in general? These questions are still under heavy discussion and trial. However, this method of data acquisition alongside CCTV and other data collection methods currently employed, do not leave a lot of room for anonymity in a modern society. Already, there is no expectation of any privacy in public places and the steps modern governments have taken to collect private data, with or without the consent or knowledge of the person who the data depicts, has further diminished personal anonymity. 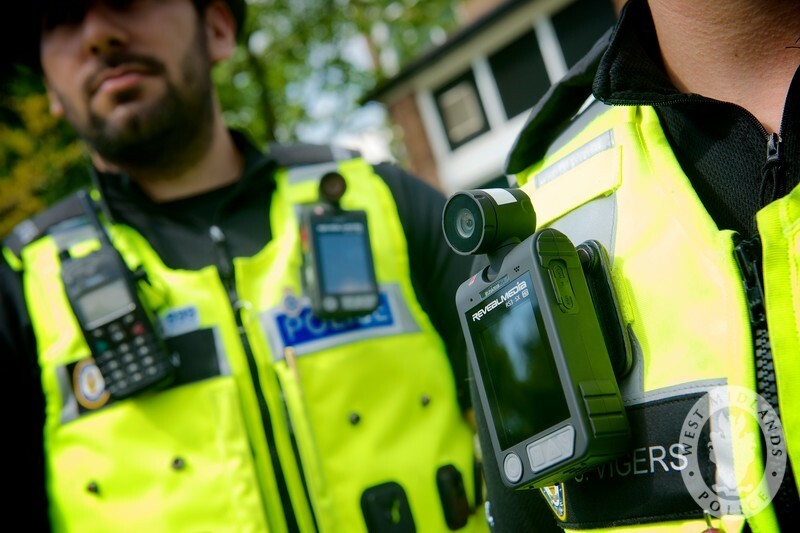 What are the expectations for Body Worn Cameras? Body worn cameras are not a complete solution, and this has been agreed upon by many experts in the field (IPCC Warning). But by incorporating well written forensic software to assist in making the most of captured evidence and understanding what is the best way to use and develop these cameras, we can make the solution more complete. The initial question: will body worn cameras be the solution we are looking for? According to most accounts, the answer is no, but as trial and discussion surrounding it progress, so will the technology and its implementation. Once footage from these devices starts being used as actionable evidence, more issues will get raised and solved, and the BWC solution will grow closer to being an effective and complete solution. Once the infrastructure for dealing with BWC footage is in place, and this type of surveillance is accepted by the general public, then I see possible growth for small, smart drones to be incorporated as well. This addition would give us an overview of the situation as well as offering better raw data for forensic experts to work with. There are already small smart drones that require very little input. These drones provide a very maneuverable and stable platform and can be fitted with a variety of compact high definition cameras (it would be possible to use the same cameras that are worn by officers). For example, this video taken from a small and relatively cheap, albeit manually operated drone, is much more stable. What is the motivation that drives this technology from the government’s point of view vs. the public’s point of view? At this stage, the motive is unclear. From the police point of view, body cameras will increase their safety (to provide evidence in the case of a false accusation) and enhance training using real POV scenarios and as a way to highlight any issues that exist in current police policy that have been made evident in the resulting BWC footage. It also remains to be seen how the implementation of this technology will shape police culture and the public’s perception of the police. Historically, police were viewed as heroes. They were regular people who did an incredible job and kept us safe. Nowadays, they have become highly criticized for doing their job in line with policy. Body worn cameras for police officers are an attempt to force professionalism in the police and the public through technology instead of relying on a public service and society, in general, to organically foster this sentiment. There have been recorded incidents of police using lethal force that the public view as unjust, however, few convictions exist. There have also been recorded instances of the police being very professional and brave while dealing with extreme situations. This points to a problem with a few poorly behaving individuals across the board, who become fodder for the agenda of ideologies vying for publicity. The source of this problem should be the target of philosophers and scientists, and then politicians can form policy based on their findings in tandem with the deployment of technological solutions. This is not happening. In fact, this process is in reverse. Politicians create policy and introduce technology they see fit and then leave it up to scientists and philosophers to argue about, and again these arguments become fuel for agendas. While it is encouraging that human ingenuity can solve some aspects of this issue, it is disappointing that we haven’t been able to treat each other with universally preferable behavior. This entry was posted in Announcements, Cases, FIVE on July 16, 2015 by Matthew Cook.